and I were talking earlier tonight (10/16/09), and I had told her of a drawing of Basil I'd done. Well this is it. Familiar face...but where's Olivia? Didn't draw her. Wanted Basil alone. FINALLY GOT THE WHOLE DRAWING UP! I took a picture. Sorry about the poor quality and the discolouration. Still, here's the whole thing, officially! Here you go, Brina. It's for you. 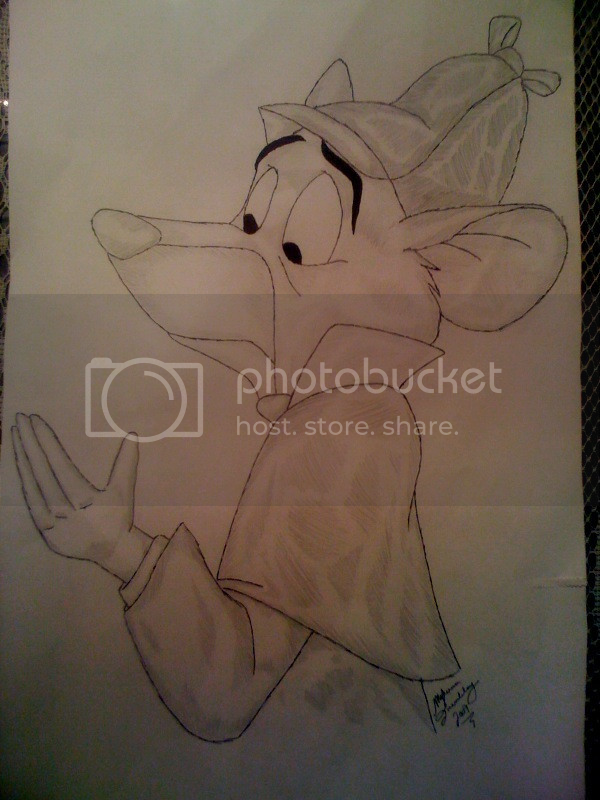 Basil of Baker Street (c) Eve Titus and Disney.